The article “T proponents say expansion is a matter of life or death” reports that groups such as STEP are turning to health issues to push for the Green Line extension and other projects. Cars, buses, and diesel trains cause air pollution that directly impacts our health. But the MBTA says it can’t afford any expansions. MBTA General Manager Mike Mulhern and DEP Commissioner Robert Golledge led a public hearing on state transit commitments on November 22, where they answered questions about plans to revisit obligations like the Green Line extension. State intends to abandon Green Line commitment! Massachusetts is beginning a public process to try to weasel out of many remaining Ozone SIP transit obligations – including the Green Line extension. Apparently the Executive Office of Transportation (EOT) and the Department of Environmental Protection (DEP) have been discussing this in private for over a year. They think that Somerville will grumble but not complain too loudly. We can’t let them get away with this. Please come to the public hearing where the state intends to begin this unfair process. The Capital Investment Program (CIP) is the MBTA’s rolling 5-year plan of its expenditures. Unfortunately, the new CIP includes no funding for the Green Line extension beyond the study currently underway – not even the $1 million necessary to continue basic preliminary planning. What can you do? 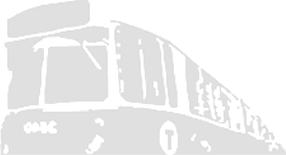 Go to a CIP public meeting or follow the link below to send your comments to the MBTA. In this letter to Daniel Grabauskas, Robert Golledge of the Department of Environmental Protection makes it official: the state is not complying with its obligations for the Green Line extension and other projects.